Belgium's Thomas Pieters and Thomas Detry extended their lead ahead of the final round of the World Cup of Golf, shooting an impressive 63 in the fourballs. The Belgian pair sit 19-under par at the Metropolitan Golf Club in Melbourne with an almost flawless round, including an eagle on the par-five ninth. They sit five shots ahead of Mexico's Abraham Ancer and Roberto Diaz, who climbed five places to tie for second with a round of 65. On day two, Ancer and Diaz moved up 13 places to seventh after finishing two-under in the best round of the day. They sit alongside Italian pair Andrea Pavan and Renato Paratore and South Korea's An Byeong-hun and Kim Si-woo on 14-under par. 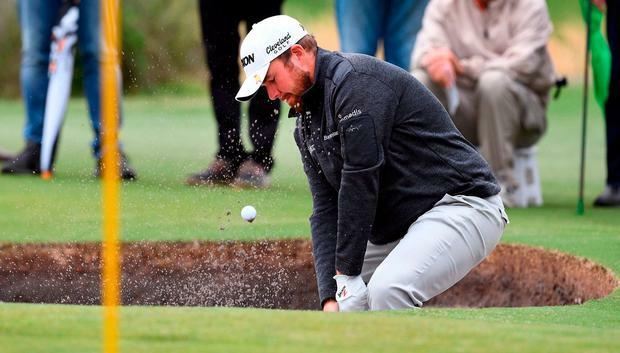 Three countries sit tied for fifth on 13-under - Alexander Bjork and Joakim Lagergren of Sweden, Australian pair Cameron Smith and Marc Leishman and England duo Tyrrell Hatton and Ian Poulter. Reigning champions Denmark, represented by Thorbjorn Olesen and Soren Kjeldsen, are tied for 11th on 10-under, a shot behind Scotland's Russell Knox and Martin Laird and Irish pair Shane Lowry and Paul Dunne. Lowry and Dunne combined for a 65 in a round that included seven birdies and no bogeys.